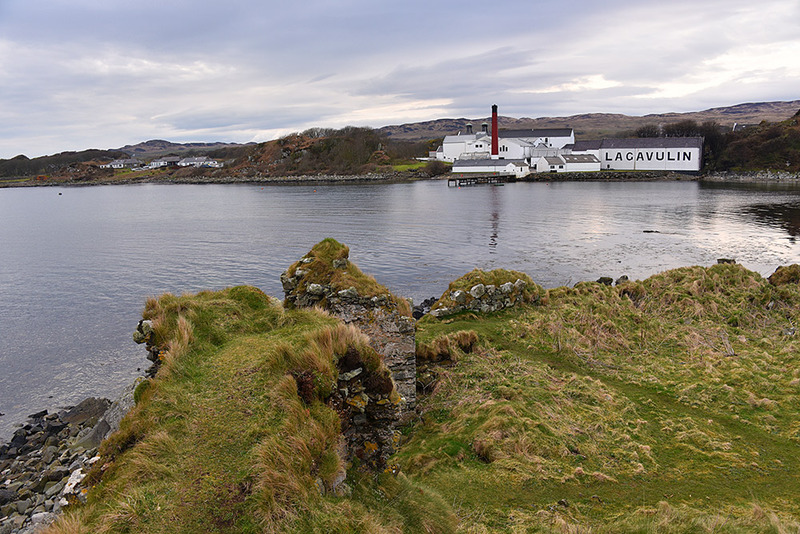 A view from the ruined walls of Dunyvaig Castle across Lagavulin Bay to Lagavulin distillery. Taken on an overcast afternoon on Islay in April 2016. This entry was posted in Cloudy Weather, Distilleries, Landscape, New Post, Sea Loch, Village and tagged Dunyvaig Castle, Islay, Lagavulin, Lagavulin Bay by Armin Grewe. Bookmark the permalink.